The English closed ia a new event on the calender this season, with the top 32 in the country playing in boys and girls events from U13-U19. 6 of Northumbrias competed at this tournament in Nottingham. LUCY BEECROFT- was the best of the bunch making it through to the final of the U15 where she played England number 1 Eleanor Lake, Beecroft pushed her all the way but eventually lost out 11-6 in the fifth. She was rewarded after this great result with a call up for England at the home internationals, congratulations. 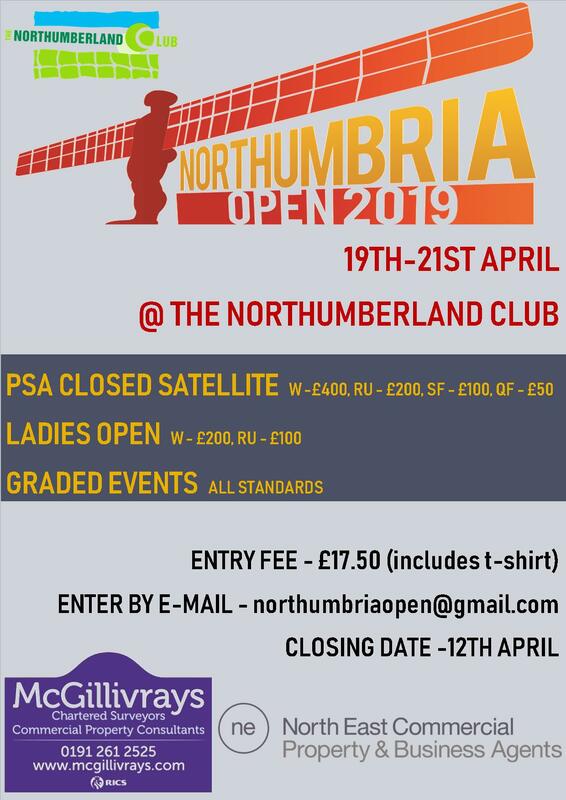 SAM WARD- Lucys club mate at tynemouth out done her seeding reaching the last 16 before losing to number 2 seed Katie Smith from Yorkshire, she then played off for position finishing in 13th position over all in the U17. MARIA BAINBRIDGE – was in the U15 along with Beecroft, she was seeded 9/16 and lost to 3/4 seed Martha Possenger in the last 16, she then played off for position and finished in 14th. CHRIS WIGGINS- has just got his ranking up to this level with some great performances through the season, he lost in his first round of the U13 and competed well in the plate losing out in the semi-final stage. ALEX ROBERTSON- also playing in the U13, he lost first round then won his first round of the plate before losing in the q-final. ADAM BAINBRIDGE- the third Northumbria member of the U13 boys event, Bainbridge lost in both his first round and in his plate first round.